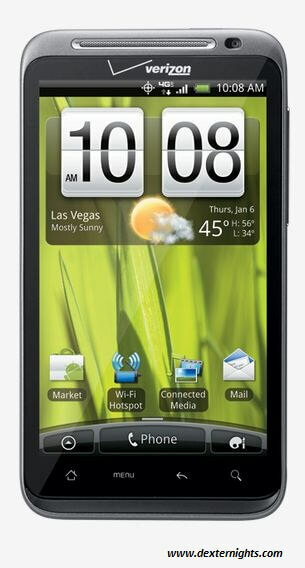 HTC Thunderbolt is a smartphone with Android 2.2 and HTC Sense operating system where it has also added Skype video chat in HTC Sense Interface. Its 3G networks are LTE 700, CDMA EvDO revA and its chipset is Qualcomm MSM8655, 1GHz, Qualcomm MDM9600. The display screen is 4.3 inches with WVGA (Wide Video Graphics Array) TFT capacitive touchscreen 480 * 800 pixels, 16 million colors and UI auto-rotate. 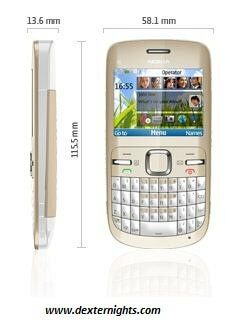 The phone has 8MP camera with LED flash, auto focus, geo-tagging, face detection and etc., its front camera is of 1.3MP. It is a speakerphone with 3.5 mm audio jack, dual mics with noise cancellation and surround sound. The internal memory is of 8GB, 768 MB RAM, microSD card with 32GB. The other features of the phone are Bluetooth v2.1 with EDR, GPS, TI audio DSP, G-Sensor, Proximity Sensor, Light Sensor, LTE SIM slot, Wi-Fi IEEE 802.11 b/g/n, messaging using SMS, MMS, Email, IM and Push, web browsers like Google Talk, YouTube, Picasa, Gmail and etc are available, voice commands, document viewer. The battery is of 1400mAh Li-Ion battery. While looking at color options the phone comes only in black color. 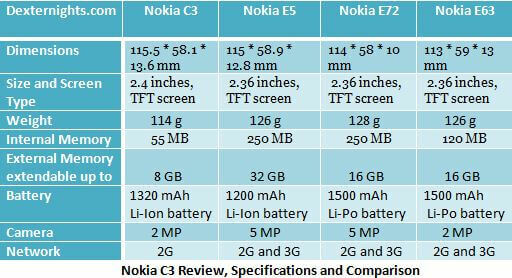 Nokia C3 is a new kid in the Nokia stable, targeting the customers who are planning to upgrade to a smartphone from a basic phone.With a very low price the phone is an must buy for anyone looking to have low cost QWERTY phone. 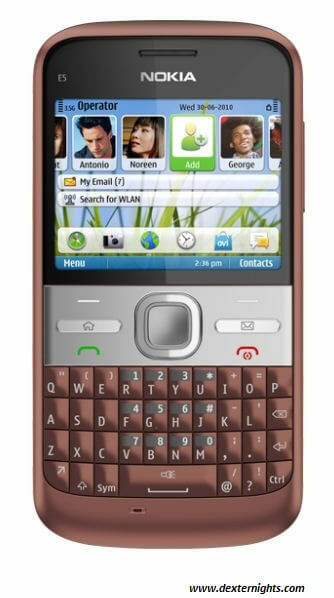 Having proven to be top notch and high user friendliness in the QWERTY space, C3 is a useful addition to Nokia’s QWERTY range. Currently the phone is available for $128 in Amazon and Rs 5500 in India. 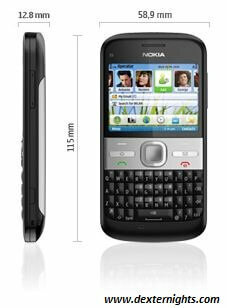 Nokia C3 is a smartphone with 2G network, Series 40 software platform and Firmware update over the air application. The phone weighs 114 g, dimensions 115.5 * 58.1 * 13.6 mm, 2.4 inches, TFT (Thin Film Transistor technology) display screen, 262,000 colors, resolution 320 * 240 pixels, landscape QVGA (Quarter Video Graphics Resolution – term used for computer display with 320 * 240) and QWERTY keyboard. 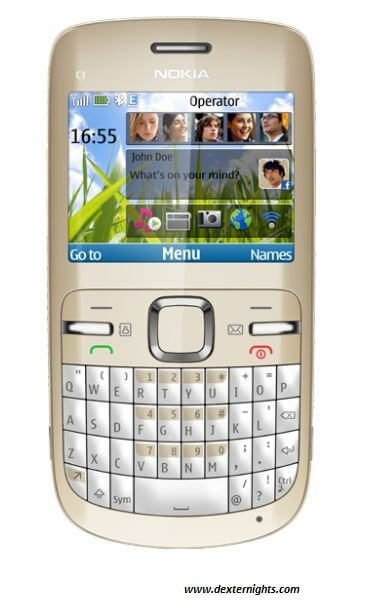 It has 55 MB memory, 64 MB RAM, 128 MB ROM, micro SD memory card slot memory extendable upto 8 GB, hot swappable. The battery is 1320 mAh Li-Ion standard battery with a standby power of 800 h, talk-time power of 7 h and music playback time of 30 h maximum with offline mode. It has video ringtones, other ringtones like MP3, WMA, MIDI, AAC, eAAC+. It has music player, 3.5 mm audio jack. The camera is of 2 MP, zoom upto 4x digital, can capture video in MPEG-4, QCIF max. The other features of the phone are stereo FM radio, RDS (Radio Data System – communication protocol where small amount of digital information is embedded in conventional FM broadcasts)., voice commands, Games, GPRS, EDGE, IEEE 802.11 b/g Wi-Fi with maximum speed of 11 Mbps/ 54 Mbps, High-speed USB 2.0, Bluetooth v2.1, support for local synchronization, serves as data modem, TCP/IP support, Flight mode, Automatic switching between GSM bands, SMS, MMS, Email, IM, Push, . The phone comes in three colors such as golden white, pink and slate grey.